The UC browser has been installed hundreds of millions of times on Android devices which is why so many people were shocked when they realized that it exposed its users to cyber attacks that pertain to a man in the middle strategy which is basically when a malicious actor acts as a middlemen between two unsuspecting parties and relays information to each end of the communication chain and making individuals believe that they are talking to each other when instead they are basically just talking to the aforementioned malicious actor. 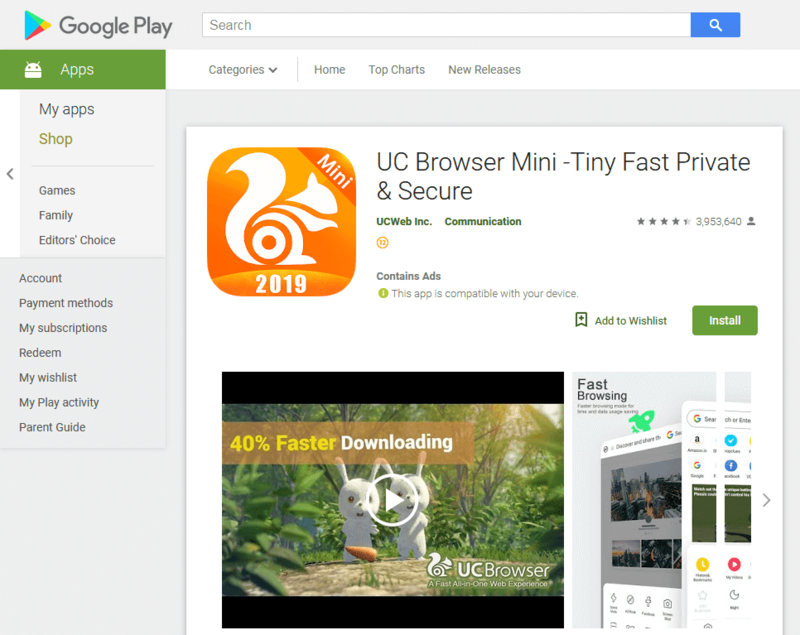 According to Doctor Web malware analysts, this security vulnerability comes from the fact that the UC browser offers updates from a private server rather than through the Google PlayStore. This is against the PlayStore rules and regulations, and for good reason. Anything coming from a private server can’t be guaranteed to be completely devoid of potentially cyber attacks and the like, and Google can’t protect users if companies just start offering updates from personal sources rather than through the platform itself. It is important to note that an attack of this nature has not occurred yet, but given the insecure nature of the communications between users and the UC browser server, it would be quite easy for a hacker to insert messages of whatever kind that they would like into the communication chain.